As an oxygen patient, going out and about can be a hassle from time to time. You have to gather your oxygen accessories, bring the ones you need with you, and leave the others at home. Rather than going around your house looking for your accessories, you can use the LifeChoice Activox Accessory Bag to keep your accessories organized and in one central location. 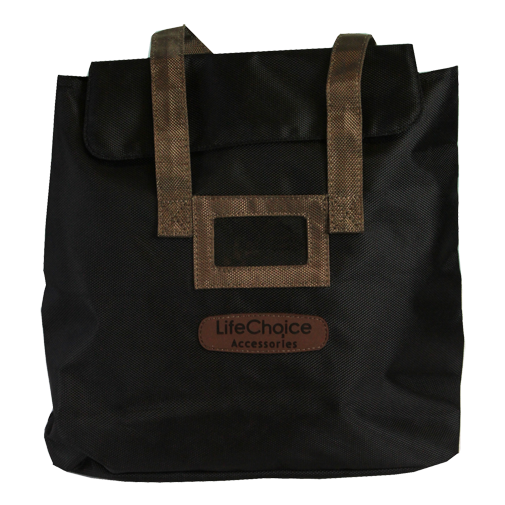 The LifeChoice Activox Accessory Bag is a durable and lightweight bag. It has one large pocket that can store your AC power supply, DC power supply, multiple external batteries, and nasal cannulas with ease. Even with all of your accessories in the accessory bag, there is room for your own personal belongings like your prescription for oxygen, your wallet, and more! The Activox Accessory Bag is equipped with two handle straps to make carrying and transporting it as easy and as comfortable as possible. The top of the accessory bag Velcros shut to prevent your belongings from falling out while you are on the go. When traveling, the handle straps are large enough to slide over your suitcase’s pull-handle making it easy to navigate the terminal without carrying extra weight.